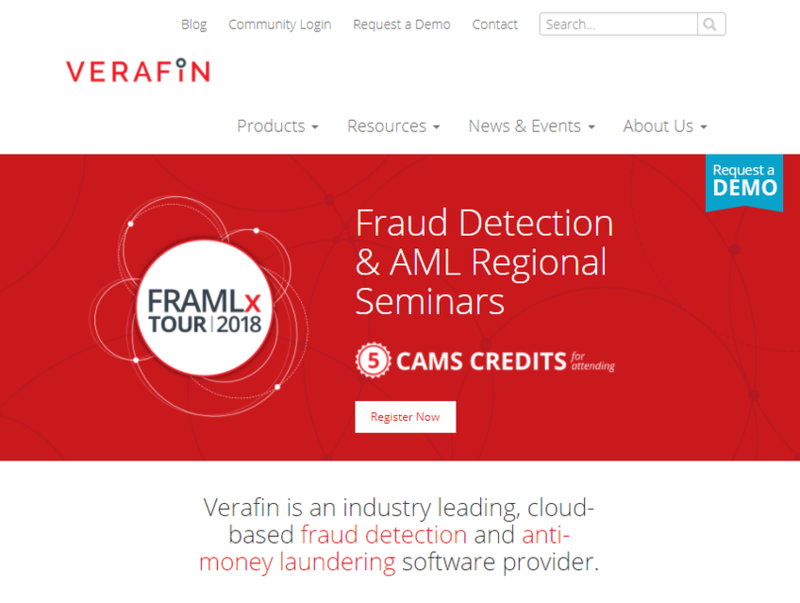 Verafin Inc., a leading provider of compliance, anti-money laundering (AML) and fraud detection software. Verafin provides a combined fraud detection and AML solution that utilizes artificial intelligence and behavior pattern-based recognition. Bringing fraud detection and AML (FRAML) processes together effectively alerts compliance officers and fraud professionals of suspicious behavior and anomalies while improving investigations and satisfying compliance with BSA/AML regulations.